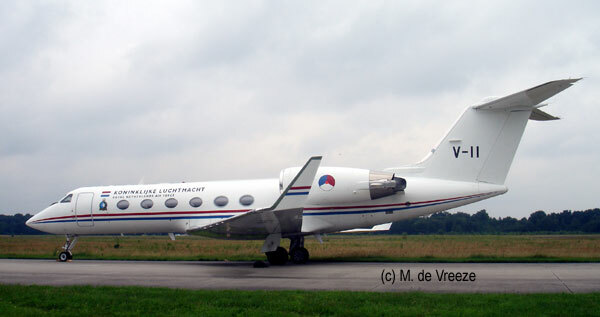 The Dutch Royal air force uses a single Gulfstream G.IV jet for long range transport purposes. The Gulfstream is from the American Gulfstream company and many planes are in use all over the world as executive business jets. The Gulfstream G.IV series has modern Rolls Royce Tay engines and the first one of this series flew in September 1985. The USAF uses the version in a special performance outfit as the C-20. Beginning of the nineteen nighties, the RNeth AF required a long range transport and to get one quickly a second hand plane was bought. The plane had previous registrations VR-BOY, N780LS, N700LS, N500VS, N500LS , N423GA. The RNeth AF plane is the "V-11". It became operational April 1996 with 334 squadron. Entering AF service numerous problems were encountered and a equipment modernization program was started that ended January 1997. 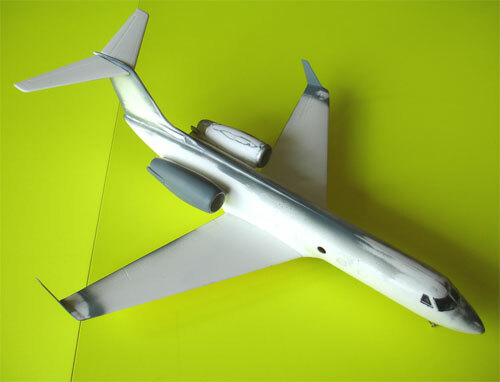 The plane as passenger cabin with up to 11 seats and advanced communication equipment. Later on, an external SATCOM antenna was fitted on top of the vertical tailplane and some different paint schemes were applied during the course of its RNeth AF career as well. The overall colour of the RNeth AF plane is white with metal leading edges (de-icing) and a Dutch colours Red-white-Blue cheatline. 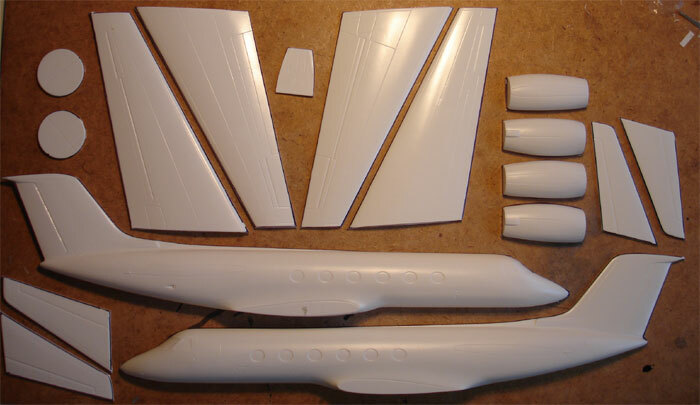 The Dutch roundels are estimated to be 10,5 mm diameter in 1/72 scale on the engine nacelles and 13,9 mm on and below the wing. 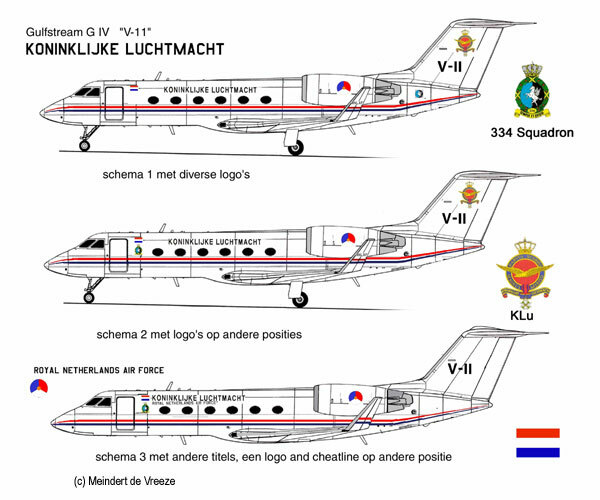 (1) White with cheatline and large "KONINKLIJKE LUCHTMACHT" titles. Small squadron symbol behind engine nacelles. Large KLu logo on tail with number V-11. Small RNLAF title on winglets and large RNLAF title on upper wing. (2) White with cheatline and large "KONINKLIJKE LUCHTMACHT" titles. Small squadron symbol behind entry door and Dutch flag near door. Large KLu logo on tail with number V-11. Small RNLAF title on winglets and large RNLAF title on upper wing. (3) White with lower positioned cheatline and large "KONINKLIJKE LUCHTMACHT" and smaller "ROYAL NETHERLANDS AIR FORCE" titles behind door. Small squadron symbol behind entry door with Dutch flag. White tail with number V-11 and V-11 on upper wing. 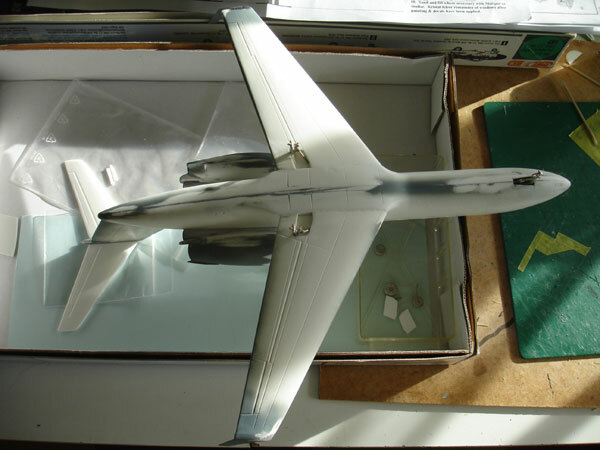 In 1/72 a very good Welsh vacuform model with white metal parts is available and civil Saudia decals. It is better than the Broplan kit. 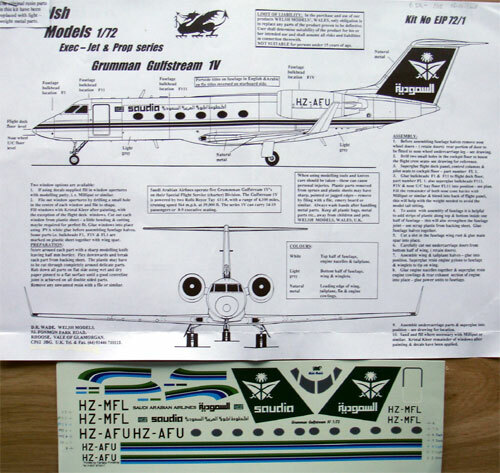 Note: many years later RVHP issued a resin kit (in several boxes with diferent decals; box 72106 has KLu decals). 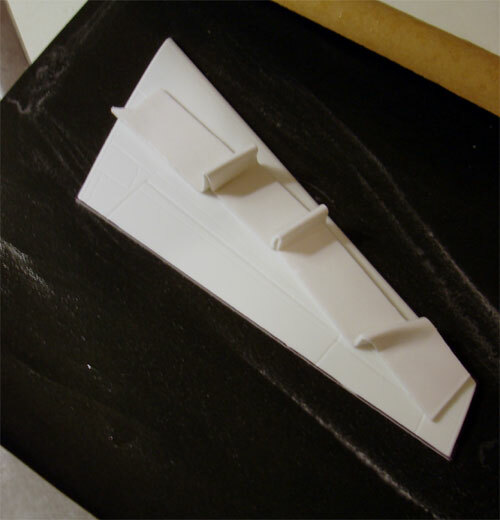 This model is made with the Welsh 1/72 kit, it is a vacuform kit. Generally the kit parts are OK and after separating them from their backing sheet through cutting/scoring around them with 0,5 mm edge and sanding, they are pretty well. The engine parts were finished separate to handle them first. 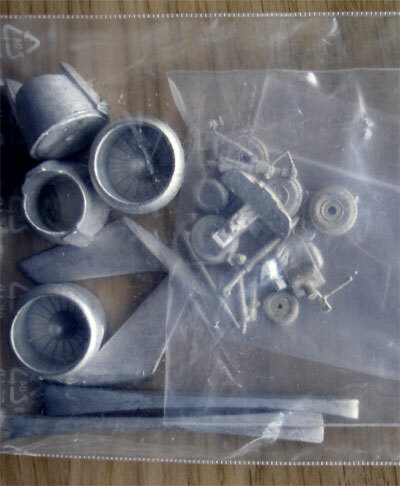 You get white metal engine fans and exhaust pipe, so you don't thave that usual terrible problem om achieving round intakes with thin plastic only as in older jet vacuform kits. 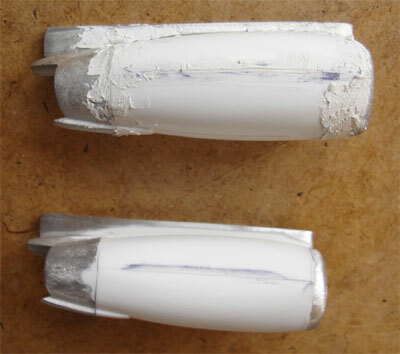 The nacelles gave no other problems, but you will need filler at particularly the stubs. 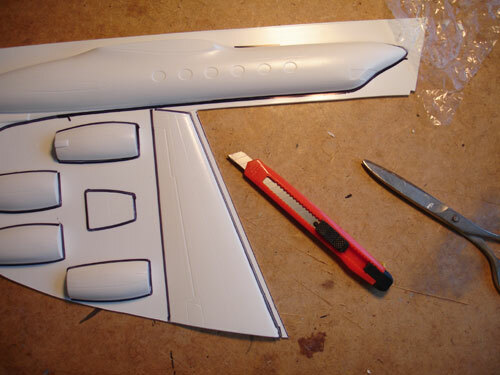 I recommend painting the nacelles prior to fitting them to the fuselage and to add their metal leading edges as well using bare metal foil. It will be difficult to access later on as I found out later on. The cockpit interior was used and seats cushion painted dark blue with overall interior grey and some black details. I decided not to fit an interior and only to really open up a couple of cabin windows. 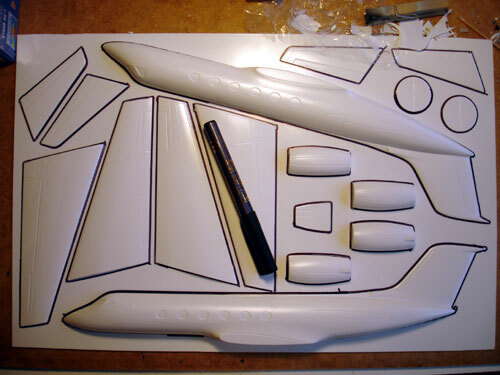 The rest on the windows will be suggested with decals and Tamiya SMOKE transparant paint. 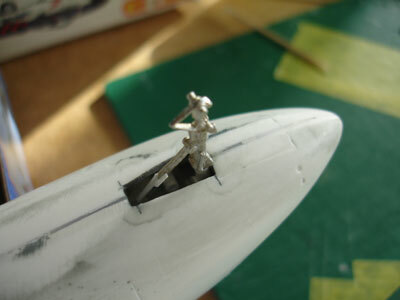 Fitting the cockpit windshield was not easy but I managed. Also add nose weight, otherwise you'll get a tail sitter. The wing is OK and I added a metal spar for strength. 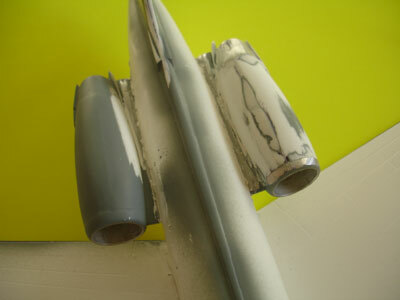 Some was done on the two halves of the horizontal tailplane. 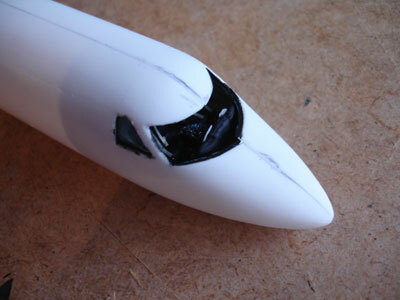 sanding was done using also double sided tape to get grip. The gear is in white metal fortunately. You'll need to open up the nose gear doors as well. The small main bays were fitted with some sidewalls from scrap plastic. I decided to make the model in SCHEME 3 with additional SATCOM antenna. From the spare box I found a shape that could be used for the antenna on top on the fin. The model was primed in light grey to check for any flaws. These were corrected with putty and sanding.